I cannot believe that we are at the end of the summer season at the Delaware and Maryland Beaches. That does not mean that we, locals and natives, go to sleep now. Some of us might think that the best season is yet to come. Yes, September, October, and November bring so much to this area. You will see as the weeks go by what the Second Season will bring. But, this week-end these are some of the activities going on, besides sitting on the beach, walking the boardwalk, shopping, etc. etc. Saturday, 9/4 – Race – Last Blast Labor Day Prediction 5K. Runners predict their times; top 20 predictions win prizes. No watches, mile markers or clocks. Starting time will be 7:30 a.m. From 6:00 a.m. – 7:15 a.m. will be the last chance to register. The cost to register tomorrow will be $20. 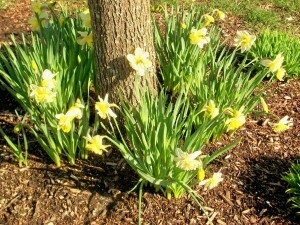 Location: Grove Park in Rehoboth Beach. For info. 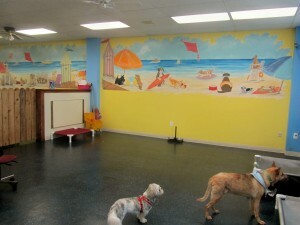 please call 302-644-8952 or visit www.seashorestriders.com. Saturday, 9/4 – At the Rehoboth Beach Bandstand Mario Rocco will be performing at 8:00 p.m. with a free concert. He has opened for The Temptations, The Drifters, The Coasters, Olivia Newton John and so many more. It will be a variety show called The Parade of Stars. His website is www.mariorocco.com. Sunday, 9/5 – It’s the 6th Annual Rehoboth Main Street Aquathon – 1/2 mile swim and 5 K run at 8:00 a.m. in Rehoboth Beach. For more information, please visit www.seashorestriders.com, or call 302-644-8952. Have a great week-end…talk to you later…. Perfect weather this Easter week-end is attracting many visitors. 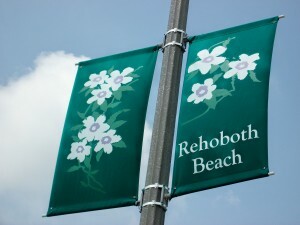 I went to downtown Rehoboth today and was so surprised to see it so crowded and finding parking was a little tricky. But, it did feel like summer; kids running around, dogs all over the place, the smell of french fries and the buckets of popcorn. Best of all, we were not wearing coats. If you ask me what to do in Rehoboth, the first time you visit our beaches, I would have to tell you to visit the Rehoboth Beach Museum. 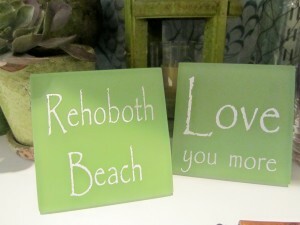 It is also the home of the Rehoboth Beach Historical Society. It will give you insight in what this community is all about. The Museum is offering a special reduced admission rate for Friday, April 2nd through Sunday, April 4th. On those days admission for a group of up to 2 adults and 2 children will be only $5 and each child will receive an egg with candy inside. All children under 12 are free, but must be accompanied by an adult. The special rate honors a Rehoboth Beach tradition from the days when the Cape Henlopen Lighthouse was still standing. Families would trek to the lighthouse, bringing picnic lunches and rolling eggs down the great sand dune around the lighthouse. 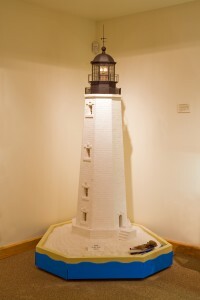 The Museum invites you to go and see a replica of the lighthouse, and learn about the boardwalk and shipwrecks. Vintage bathing suits and post cards are on display. 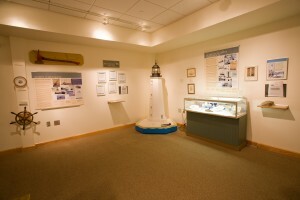 The Rehoboth Beach Museum is located at 511 Rehoboth Ave., near the traffic circle with the lighthouse and the Chamber of Commerce Visitors Center. Parking is free. Museum hours are Friday, 10 – 4 p.m., Saturday and Sunday 11 – 3 p.m. More info? Please call 302-227-7310. I wrote about this Museum on 2/19/10. All you have to do is go to Archives on the left hand side of this blog and click on February and scroll down to that date. Sunday, 4/4/10 – Happy Easter!! 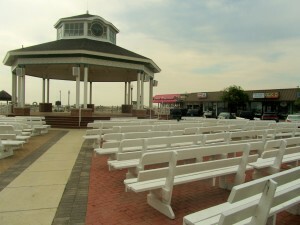 Sunrise Service at the Rehoboth Beach Bandstand, sponsored by the Lewes-Rehoboth Association of Churches. For more information, please call 302-227-2109. Big Fish Grill located on 20298 Coastal Highway, Rehoboth Beach. Tel. 302-227-Fish. Website is www.bigfishgrill.com. Brunch is from 11 a.m. until 3 p.m. I wrote a post on this restaurant on 1/23/10. To see it, all you have to do is go under Archives on the left hand side of this blog and click on January and scroll down to the date. Please note that this restaurant has a gluten free menu, among other allergy related menus. 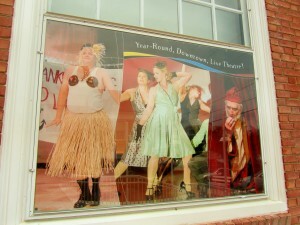 Summer House, located on 228 Rehoboth Ave., Rehoboth Beach. From 11 a.m. until 3 p.m. Tel. 302-227-3895. Website is www.summerhousesaloon.com. Cafe Sole – Brunch is every Sunday and Easter Sunday’s Brunch will have lamb, ham and other specials in addition to the regular brunch items. Cafe Sole’s brunch is from 10:30 a.m. until 2:30 p.m. 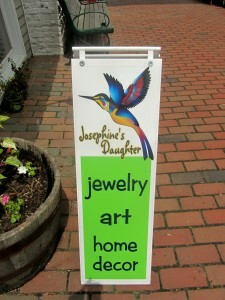 They are located on 44 Baltimore Ave. Tel. 302-227-7107. Website is www.rehoboth.com/cafesole. I wrote a post of this restaurant on 9/1/09, so if you would like to read it, please go to Archives on the left hand side of this blog and click on September and scroll down to the date. This is a restaurant that has a gluten awareness.